I like to be moving forward. When we lived in England I liked to travel on the trains. I would rather find a train that was running and jump on it even if it took me on a longer route than wait for a delayed train. When there’s a destination to get to I’m going to do everything to get there as quickly as I can. I plan the route, check the map and I’ll keep moving, and if I’m with others I’ll keep them moving. I hate the thought that a delay makes me miss out on something at the end of any journey whether it is hours with family, a meal (! ), sight-seeing, the beginning of a vacation, concert or an event. I’d rather be early than late every single time. The thing with travel is that you can’t control what happens. Sometimes I’ve not been able to do a thing about it. 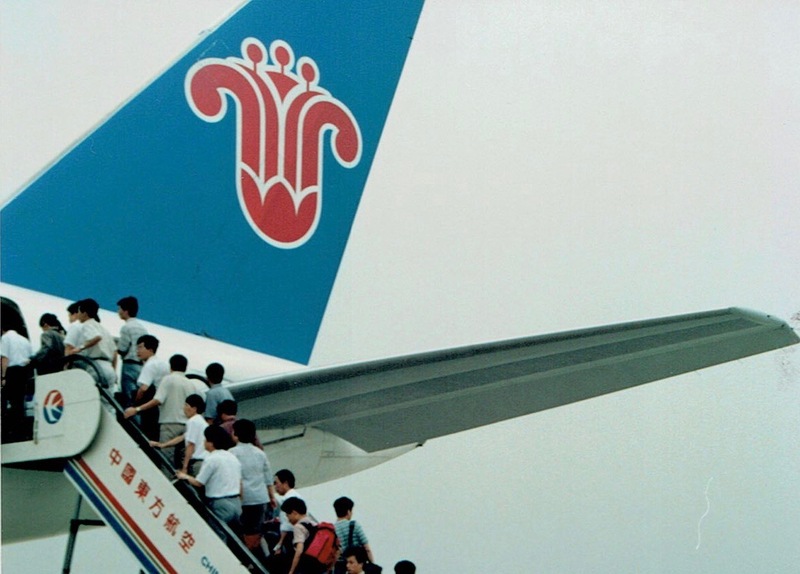 Years ago I was waiting with three friends for a plane from Shanghai to Hong Kong. Tim was in Hong Kong, not with me, and I was keen to get back there. We knew that the news wasn’t going to be good when our flight number was called, not to board, but to collect a packet of crackers and a carton of juice each. We played cards, talked, waited and then after several hours our flight was cancelled. I cried. I was tired and was ready to get out of China (at the time Hong Kong was still in British hands). One of my friends who was from New Zealand kept telling me the experience was good for my character, and good for the years ahead in my relationship with Tim. I wanted him to just let me sob. We were all bussed to a hotel, which was really nice as I remember, we slept for a few hours and then returned to the airport in the morning for our flight. I haven’t thought about that for years! I enjoy travelling when I have the opportunity and I’m far more chilled about it now than years ago. I am a planner, I like to know we will get there and most of the details, but I’ve learned to love the journey. Though, it’s good to get where you’re going eventually. Life is about journeys. So many journeys – not just the ones that take us from one place to another to all the amazing places on this earth. If we’re always looking to the next thing in life we can’t enjoy and make the most of what’s happening right now, even if it isn’t the place we expected. On and off through March, I’ve not been at my best. A cough. A cold. Headaches. I’ve felt delayed, stalled, in a holding pattern, just keeping things going. In a place of reluctant rest. It hasn’t been that exciting. There are a few things I’ve wanted to do yet haven’t had the energy to get on with. It has frustrated me. There are bright spots to be thankful for though. One thing is the conversations I’ve had with the young people in our house when I’ve been around not doing a whole lot. I’ve been better at listening, hopefully. There’s something good somewhere in every stage of the journey. All these journeys are also part of my bigger journey of faith. All the ups and downs, minor and major challenges, are part of my journey with God. All of the challenges, all of the successes in life can either drive me away from him or closer to him, and I pray it is always closer. Sometimes I’m not sure of the places he’s taking me. Sometimes I don’t know why things happen or the way they do, but I get to trust him on the way. Sometimes I think things are going to go a certain way and there are just delays. Sometimes it is just about taking the next step rather than being able to see the whole journey. It’s often in the harder times on the journey that He works on my character and lessons are learned that help my faith become stronger for further on down the line. It’s not a journey I’m in control of ultimately, but it is an adventure with the one who is.